Ingrid Stahlbrand Kassler Memorial Scholarship! The Ingrid Stahlbrand Kassler Memorial Scholarship has reached $80,000. Our next milestone is to get the fund above $100,000 so two scholarships can be provided in memory of Ingrid each year. Please help us spread the word! 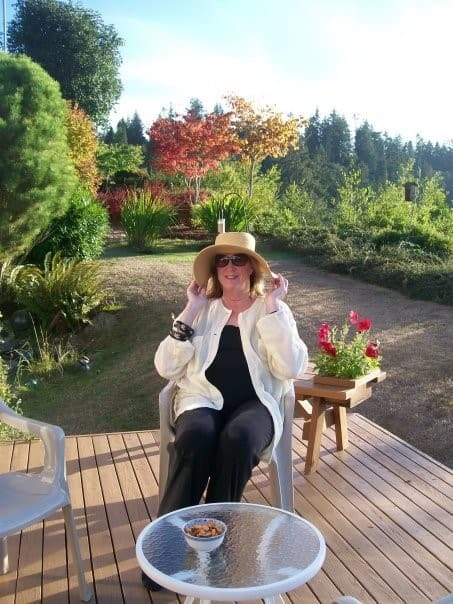 This page was originally created to honor the legacy of beloved WWU German Professor Ingrid Stahlbrand Kassler and fundraise for a scholarship that was established in her memory. Ingrid Stahlbrand Kassler was born on August 31, 1950 in Boston, Massachusetts. She received her formal education at Topsfield Elementary School; Abbot Academy, University of Colorado, Boulder and attended Harvard University, Heidelberg University and Hamburg University. She dedicated her life to education, teaching in Colorado at University of Colorado; Metropolitan State College; Alameda High School and Fairview High School. She spent the bulk of her career at Western Washington University in Bellingham, WA. Teacher, writer, world traveler, foodie, community volunteer. Ingrid lived life fully with curiosity, creativity and commitment. She was a beloved daughter, sister, wife, friend, teacher and mother. In June, 2017 Celeste Hufford was chosen as the first-ever recipient of this scholarship. We are deeply grateful to all of you who helped spread the word and made personal gifts to ensure this scholarship became a reality. Celeste is originally from Oakland, CA and moved to Moscow, ID during middle school. She graduated with honors from her high school and was also President of the International Club and a member of the Environmental Club. During her junior year, she lived in Germany as part of a Rotary International Youth Exchange program and became fluent in German and immersed herself in the culture. She also traveled extensively through Western Europe. After high school, she spent a year abroad as an Au Pair in Spain before enrolling at Western in 2013. She chose Western because of the outstanding reputation of the German program and Woodring College of Education and is working toward her bachelors in German and Elementary Education with an endorsement in teaching German language. She is actively involved in the community, volunteering both at a local elementary school and at Animals as Natural Therapy, a local non-profit organization that works with at-risk youth. She is currently applying for a Fulbright English Teaching Assistant Grant in Germany which, if she receives it, would begin after her graduation from Western. "It is such an honor to receive recognition like this and inspires me to work as hard as I can here at Western and in my future! I feel such gratitude to have your support as I look toward my final year at Western, in which I will be student teaching at Evergreen Elementary School in Sedro-Woolley, WA. Once again, I would like to express my thanks and heartfelt appreciation for receiving this award!" This scholarship will help students who share Ingrid’s love of foreign languages to pursue their studies. Please consider a gift and share this page with others who wish to honor Ingrid in this way!